Marc Liesa recommends that young scientists make career decisions based solely on what truly inspires and motivates them. 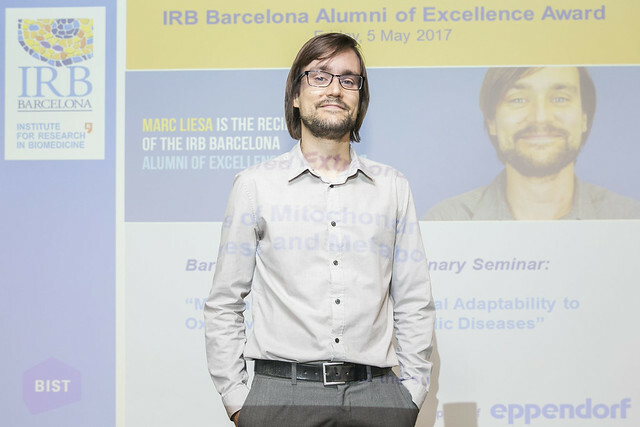 Mitochondrial biology has always been close to Marc Liesa’s heart. His scientific career has been dedicated to studying these eukaryotic organelles, which provide energy to cells. After working with Antonio Zorzano as a PhD student at IRB Barcelona from 2003 to 2008, he moved to Boston University Medical Center. After 4 years there as a postdoctoral fellow, he stayed on as an instructor and then as Assistant Professor. In 2015, he was appointed Assistant Professor-in-Residence at the David Geffen School of Medicine at UCLA, where he leads his own research group. Currently, Liesa’s research addresses the functional alterations that mitochondria undergo during a pathological condition, such as obesity or type II diabetes. He is interested in whether these changes associated with the disease are an adaptation or compensation that alleviates the most deleterious effects of the condition. “Understanding these processes is essential if we want to design therapies targeting the mitochondria to cure these diseases,” he says. Indeed, preventing the functional alteration of mitochondria might prove counterproductive if the change is an adaptive compensation rather than a change contributing to the disease, he explains. In particular, Liesa and his team at UCLA are focussing on ABCB10, a transporter that plays an important role in the handling of intramitochondrial heme. Mitochondria synthesise heme, a molecule found in red blood cells that is responsible for transporting oxygen. But heme can also be toxic, causing what is known as oxidative stress. “We have demonstrated that ABCB10 is not essential for heme synthesis per se but rather that it is important for protecting mitochondria against the toxic effects and the oxidative stress that heme might cause,” explains Liesa. They are now addressing other functions of ABCB10 and suspect that it might be involved in glucose intolerance and type II diabetes. Based on his own experiences, Liesa recommends that young scientists make career decisions based solely on what truly inspires and motivates them. “Otherwise you won’t enjoy it,” he warns.